This page was created for Caylee Marie Anthony – Missing 3 year old girl born August 9, 2005 (2 years old when she came up missing). Daughter of Casey Anthony. Grandchild of George and Cindy Anthony. Niece of Lee Anthony. Father unidentified at this time. I am in no way related to the Anthony Family. I am one of many voices crying out because Caylee can no longer speak for herself. Caylee has not been seen since June 9th, 2008 according to her mother Casey. She was not reported missing for 31 days... George Anthony the Grandfather last saw Caylee on June 17th, 2008....But LE believes he is mistaken about that date. They believe it was June 15th. A little body was found on December 11,2008. 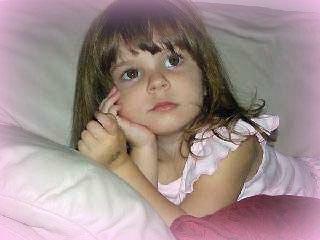 On December 19,2008 the Autopsy that was done showed it was Caylee Marie Anthony. Caylee was tossed out like trash, to be discovered by a meter reader (Roy Kronk.) only a few houses away from her home in a wooded area. Wrapped in a Winnie the Poo blanket and a toy horse. There was duct tape on her mouth with a heart sticker attached, she was placed in a laundry hamper and a garbage bag. My name is Caylee Marie Anthony, I turned 3 years old on August 9th. I love green beans, eating corn with my hands, iced animal crackers and an apple juice would be a great snack after playing outdoors with my two little dogs. I like Sponge Bob Square Pants and my favorite book is 'Supper Time Freida Fuzzy Paws.' If you could not guess, I love purple and pink butterflies, and balloons!